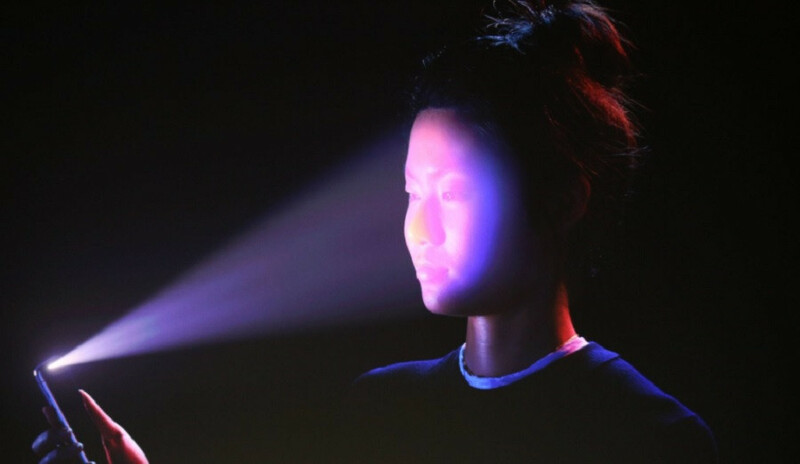 My interview for China Business Network News (Yicai Global) on biometric security in the wake of the launch of Face ID in the iPhone X. 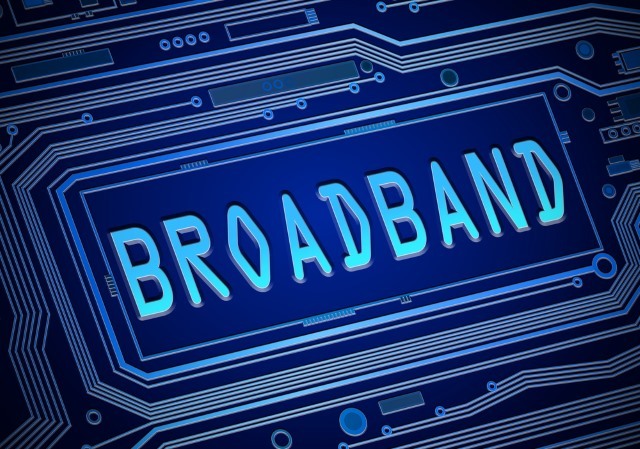 My interview on the BBC Radio Foyle Mark Patterson show about Broadband in Northern Ireland which is an essential service these days for many businesses – but for many, too slow. It is holding back their businesses. Ofcom says just over half of premises in rural parts of Northern Ireland have the best fast connections. This piece discusses. 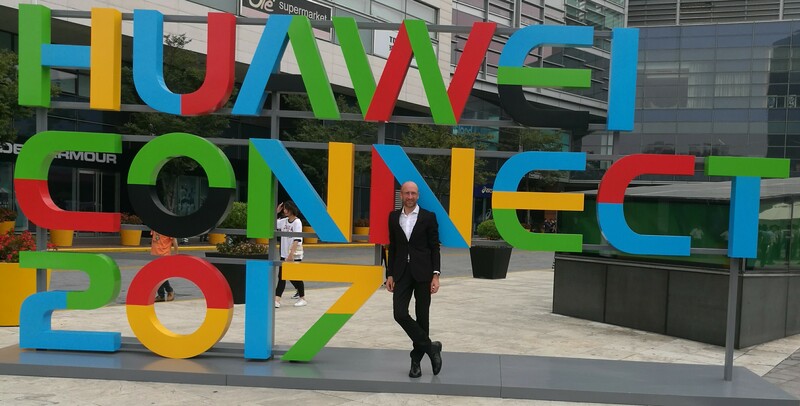 I had the pleasure of attending Huawei Connect 2017 from September 5-7,2017 at the New International Expo Centre in Shanghai. 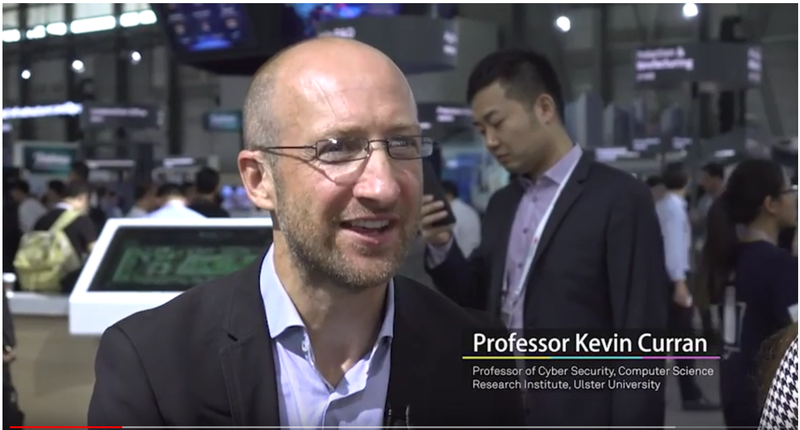 There were more than 20,000 ICT industry leaders and experts in attendance from over 150 countries and regions all exploring the direction of advancements in digital technology. I was there as part of Huawei’s Key Opinion Leaders (KOLs) programme which is outlined in “How Influencer Marketing Helps Huawei Build Its Brand” by Joy Tan who is President of Global Media and Communications at Huawei Technologies. On the ground, the KOLs are managed wonderfully by Walter Jennings, Vice President Corporate Communications. The other KOLs present were Marsha Collier, Diana Adams, Mordecai Holtz, Samuel Pavin, Shaan Haider, Bay McLaughlin, Dean Bubley, Craig Brown, Michael Waitze, Graham Brown, Emre Alkin, Florian Lindebner, Glyn Moody, Rhett Power, Will Townsend and Jim McGregor. KOLs outside Huawei Connect 2017I cannot continue until I express how blown away I was with the largest screen I have ever seen. If someone has seen a largest screen at an event, please let me know (and I need a photo as proof). To give you some sense of scale, I have highlighted the actual speaker Guo Ping, Deputy Chairman of the Board, Rotating CEO in the photo below with a Yellow circle. The largest screen in the world?So it was Guo Ping, Deputy Chairman of the Board, Rotating CEO who delivered the day 1 keynote “Grow with the cloud: Enabling an intelligent world“. The key points were that we live in times of enormous fast changes and the cloud is becoming the hub of digital transformation, and digitization. This in turn transforms both business models and personal lifestyles. Therefore, organisations have to change quickly to seize the opportunities and rise to new challenges. Guo Ping, Huawei Rotating CEO delivers day 1 keynoteThe theme of Huawei’s flagship event for the global ICT industry was “Grow with the Cloud”. The aim was for Huawei to explore how to realize new growth through digital transformation together with its customers and partners at this global platform for open collaboration. 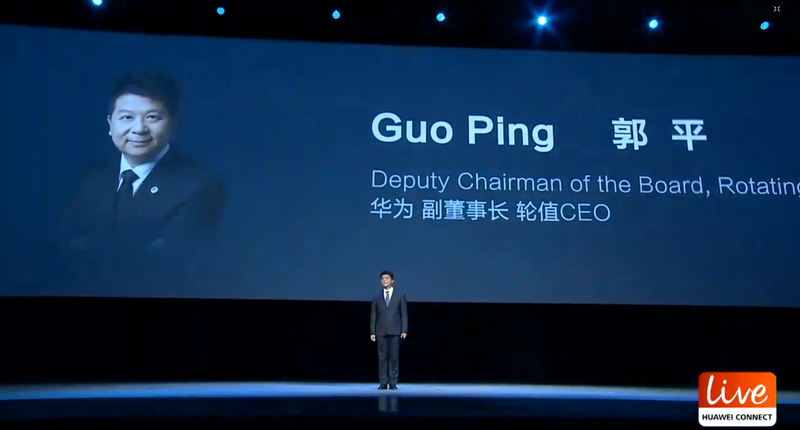 This was evident as Guo Ping assured customers and partners that Huawei has made strategic investments in the public cloud domain, and will provide long-term public cloud services. The company will build a global cloud network based on its own public clouds, as well as clouds that it has built together with partners. Guo likened Huawei’s strategy to the major airline alliances – SkyTeam, Star Alliance, and Oneworld which bring passengers wherever they need to go in the world. So to would Huawei Cloud “open up the world to its users”. You can also see the other keynotes here. Huawei Cloud opening up the world to usersMr. Zheng Yelai, President of Huawei’s Cloud BU, later shared his team’s case studies from car companies (including Volkswagen and Mercedes-Benz), Philips, the Commercial and Industrial Bank of China (ICBC), and several government service platforms that are using Huawei’s Cloud and the cloud services from Huawei’s partners. He said “Our people have an in-depth understanding of our customers’ business scenarios, whether they are working in R&D, marketing, or sales. We keep a close eye on the needs of our customers, and innovate accordingly. We have developed Huawei Cloud to help enterprises go digital more smoothly, and help ensure the success of more companies who are willing to innovate.” Huawei also launched a new Enterprise Intelligence cloud service, which the company will provide with a platform of general and scenario-specific solutions. They have flagship solutions in different sectors, including government and public utilities, finance, telecom, energy, transformation, and manufacturing. I also attended the Enterprise Business Group Track chaired by Joe Kelly, Huawei Global corporate communications leader. Yuan Qian, President of Marketing & Product Solution Sales Dept, Huawei Enterprise BG spoke on Huawei and Fortune Global 500 Companies winning in the New ICT Era Together. Renzo Valente, Head of Global Telecommunications at ENEL and Wang Zhengan, President of Access Network Product Line, Huawei delivered a talk on ENEL’s Road of Digital Transformations. Stephen Hu, Marketing Leader of Smart Building, System Dept, ‎Honeywell Smart Building and Home Appliance Group, Greater China spoke about Honeywell and Huawei Sharing the Fruit of Smart Building Cooperation. Rob Newman, Head of Programme Management, Technology & Infrastructure, Dubai International Airport and Yu Xilin, President of Transportation Sector, Huawei Enterprises BG spoke about “Dubai International Airport’s Experience in Digital Transformation and Jiang Wangcheng, Deputy President of Huawei P&S Marketing and Solution Dept along with Alain STARON, SVP Digital Innovation, Veolia spoke about “Huawei Releasing its Latest Enterprise-grade IoT solution”. There was a discussion about the digital economy and how the digital economy assists in increasing the National Competitiveness, createing a new model for economic growth and bringing new development opportunities. Walter Jennings, Vice President Corporate Communications and Joy Tan, President of Global Media and Communications at Huawei Technologies gave an excellent overview of the philosophy underpinning Huawei’s success. In a nutshell it is hard work. The company founder Ren Zhengfei has simply instilled a culture of putting the customer first. An excellent article on Huawei’s culture outlines an episode from their early years where in desert and rural areas in China, rats were gnawing the telecom wires which led to outages. The incumbent telecom companies providing service did not consider this to be their problem, but rather that of the customer but Huawei viewed the rat problem as one the company had the responsibility to solve. So they researched how to develop more durable equipment and materials – such as chew-proof wires to solve the problem. Doing this later helped them win several large accounts in the Middle East, where similar problems stymied the telecom firms. 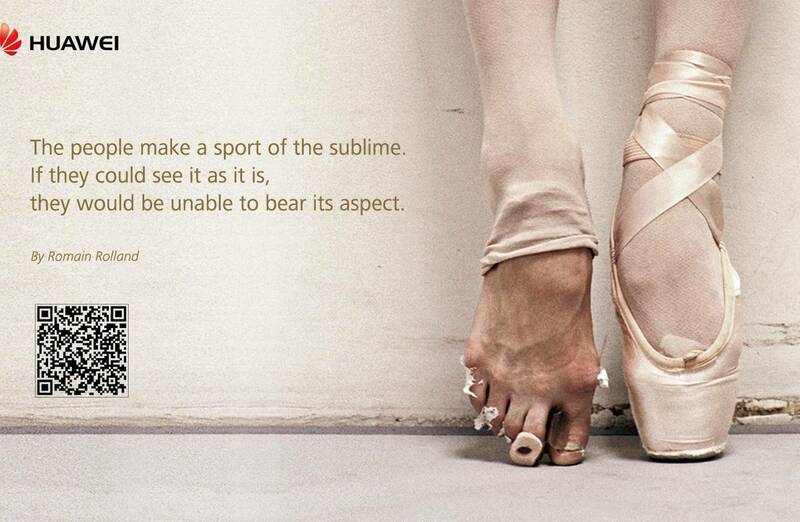 Walter also shared the story of the famous Huawei Ad which shows a ballerina’s feet. One of her feet is in a satin pointe shoe and the other is bare and battered, with bits of bandage clinging to it. The caption reads “The journey is hard. And joyful”. He explained how it was a metaphor for Huawei employees’ hard work to innovate for its customers. It really was clever marketing. This very week, the great Robert Scoble noted the large Huawei advertising which greeted him at Sinagpore airport and he remarked “Why do I say Huawei Mobile is the one to watch? No Apple ads in sight and people wonder why Huawei just passed Apple in sales?”. Huawei Ad: The Journey is hard. And joyful.I had some time to walk through the partners on the exhibition floor. One Huawei partner which impressed was ofo. As the market expands and industry models continue to develop, the sharing economy has begun to truly mature. By June 2017, for example, more than 100 million people had used China’s shared bicycles. The nation’s Belt and Road Initiative has further helped the shared bike phenomenon spread through Southeast Asia, Central Asia, and even Europe and the US. However, the popularization of sharing services has led to rising expectations and users are no longer satisfied with the basic sharing service. They want a bike exactly when and where they need one. They want to pedal away quickly. As well as frustration at how easily the bikes can be damaged, complaints about slow unlocking and payments are on the rise. ofo has become the world’s largest shared bicycle platform with the highest market share. But a range of challenges still remain, including inefficient equipment management, failure to balance communications and power dissipation, and low density of data collection sites. The company’s top priority was to introduce and popularize smart locks to improve user experience and enable all kinds of value-added services. In the past, although a variety of electronic smart lock technologies had certain strengths, they invariably had at least one glaring defect, for example, network compatibility, battery life, communication costs, or use. The NB-IoT solution provides strong coverage in poor-signal areas and a network capacity that’s more than one hundred times stronger than standard terminals. The payment process has dropped from 25 seconds to less than 5, while battery life has been lengthened from 1 or 2 months to more than 2 years, saving costs and reducing the need for frequent maintenance. Three key pillars support ofo’s tech upgrades: the company’s own platform, the commercial network provided by China Telecom, and Huawei’s intelligent chip-based NB-IoT solution. 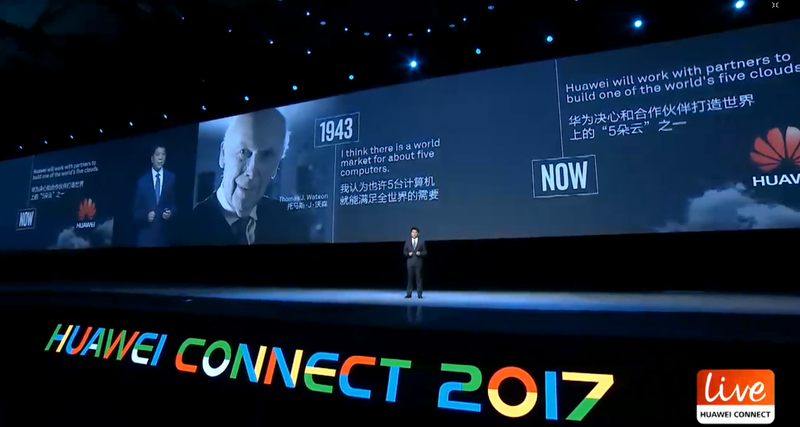 At the core is Huawei’s IoT solution, which includes smart chips, networking, and an IoT platform. Ofo’s cooperation with Huawei on NB-IoT smart locks is a stepping stone to further maximizing the company’s potential and raising standards for its entire industry. Huawei’s technology optimizes lifecycle management for locks, while the sensors on the locks collect information such as equipment status, user data, and operating data. They connect the front- and back-end industrial chains to achieve intelligent business management, allow the bikes to be located in hot spots, facilitate rapid maintenance, and boost marketing and VAS capabilities. I also had the pleasure of recording a short video of some highlights with Marsha Collier. Marsha Collier and I speaking about breaking eggs….Here is the actual video. 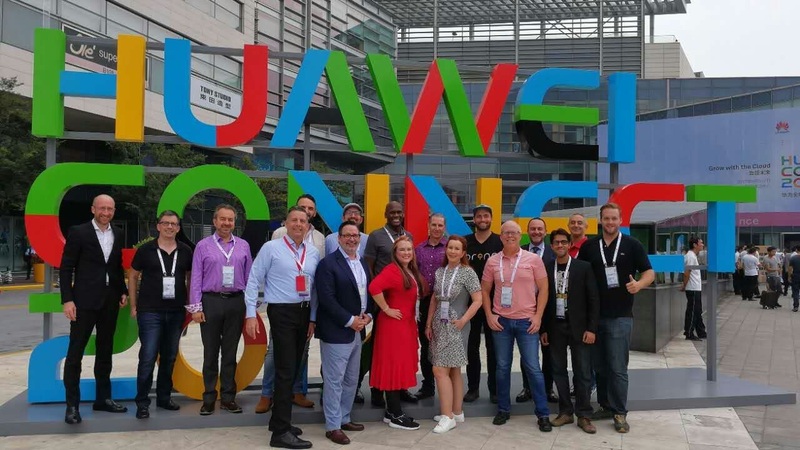 Other highlights included the KOL Salon with Huawei Consumer Business Group’s Handset Product Line led by Sean Upton-McLaughlin, Relations & Product Marketing, Huawei’s Handsets Product Line and Li Changzhu, VP of the Handsets Product Line. We had a discussion about their high-end series handset product strategy, research and development, and integrated operation and delivery. We also had a presentation on their new Huawei Kirin 970 which is the worlds first smartphone SOC chipset with a dedicated neural network processing unit (NPU). This allows for native AI processing to be combined with cloud-based AI. The NPU will help Huawei devices to become more intelligent and provide a more personalised experience. Their vision is “Mobile AI = On-Device AI + Cloud AI.”. 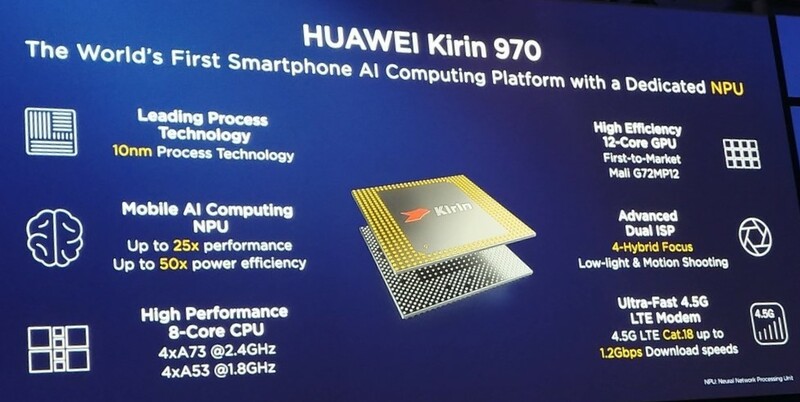 Huawei Kiran 970 ProcessorIn summary, Huawei Connect 2017 was all about platforms and ecosystems, focusing on practical application and hands-on experience. The event brought together members of the huge global ICT ecosystem in an interactive exhibition hall over 20,000 square meters in area. The last time I was there was in 2015 for Mobile World Congress 2015, which is one of the largest tech conferences in the world, yet Huawei had as much on display – and they are only 1 company. That more than anything shows you what a big player in the industry they are. They are poised of course to become bigger as 5G rolls out. Major partners of Huawei in attendance included SAP, Accenture, Chinasoft International, HGST, Intel, Accenture, HGST, Toshiba, Hexagon, Seagate, Microsoft, Suse, Redhat, Arm, National Instruments, Oracle, Northcom, A10, Centerm, and Infosys. They were showcasing their latest ICT technology solutions, and participated in a broad range of activities during the event, including keynotes, booth exhibitions, sponsor events, and technical sessions. Roll on Huawei Connect 2018….. I am quoted by Express Newsline in “Apple confirms a way to stop cops and robbers abusing Face ID”. Mac World – How secure is Face ID? 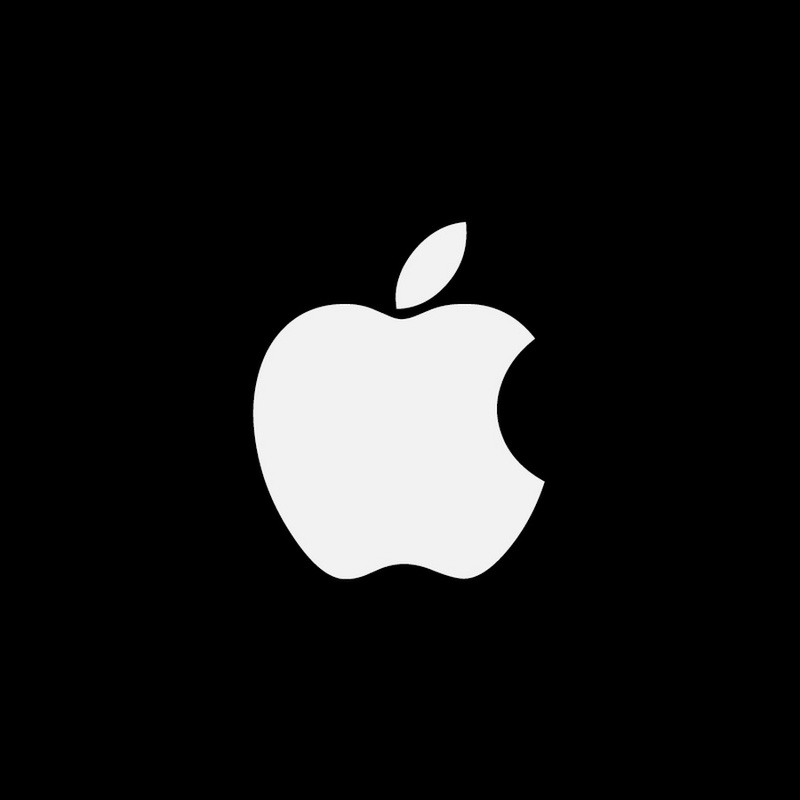 Comments: Comments Off on Mac World – How secure is Face ID? My interview in MacWorld UK on “How secure is Face ID?” from Apple on the latest iPhone X. 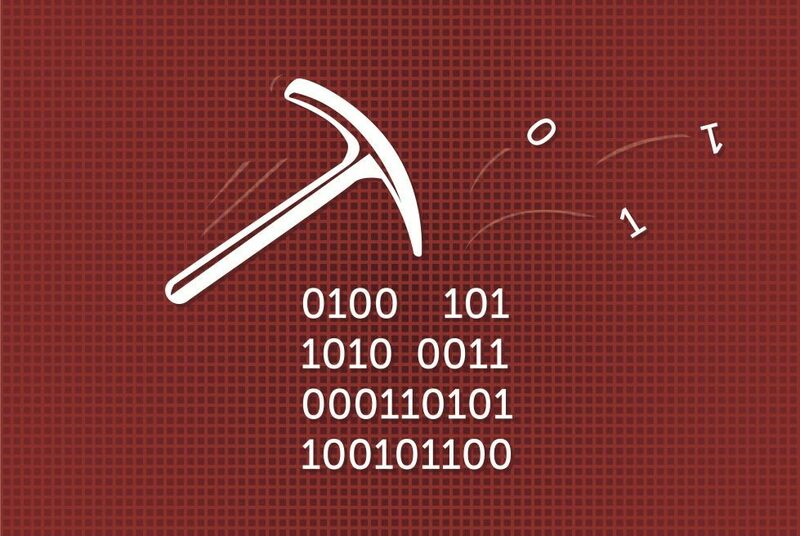 My interview in SCMagazineUK on the hidden danger of cryptocurrency mining in the enterprise. 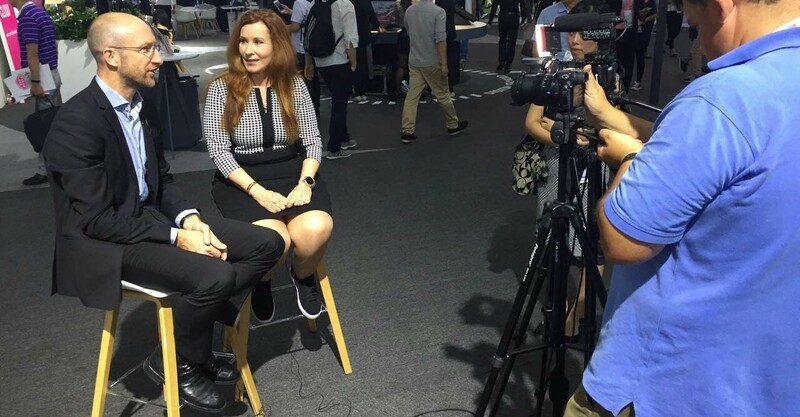 My interview with Marsha Collier at Huawei Connect 2017 in Shanghai where we discuss aspects which caught our attention. 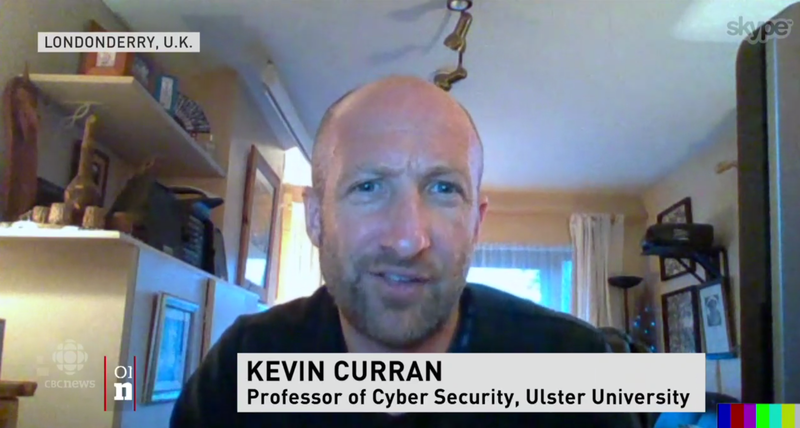 My interview on BBC Radio Foyle News at One about todays’ latest iPhone launch in Cupertino and what to expect. This Bantercast recording took place at the Bullitt Hotel in Belfast where I joined Adrienne Hanna from Right Revenue and Philip Brady from Citibank to talk about how groundbreaking developments in technology and artificial intelligence will mean many changes for workplaces in the years and decades to come. The original link is here.